Looking for a fresh/alternative worship experience? This service includes contemporary music, innovative teaching, interactive prayer stations, and much more! 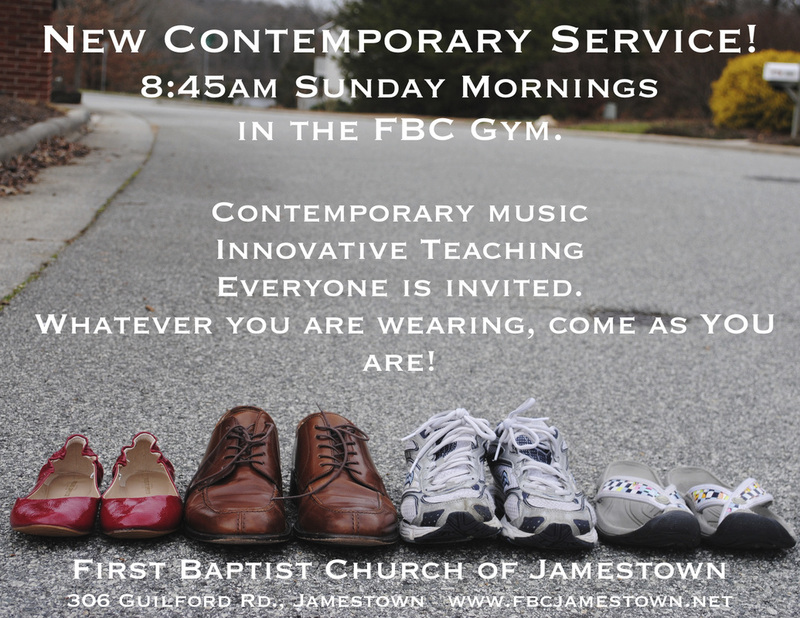 Come as you are - no "Sunday clothes" needed - all are welcome to worship. Come to be challenged, come to learn more, come to worship Jesus. Join us for worship! For more information, contact Patrick.